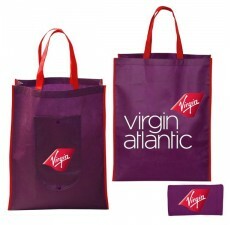 One of the most popular trade show promotional offerings is also one of the most effective – giveaway tote bags emblazoned with your company logo and message. 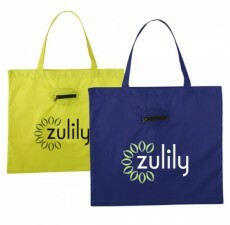 There’s a way to leverage this popular giveaway item with a “green” message and a positive environmental impact: recyclable trade-show tote bags from Custom Grocery Bags! 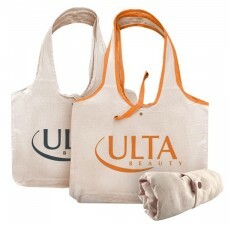 Reusable totes are the ideal combination of eco-friendliness and value for money. 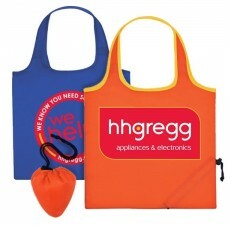 At Custom Grocery Bags, we go to great lengths to provide you with the best products and still fit into your tight budget. All our folding bags are created from recycled materials like PET (Polythylene Terephthalate), poly canvas and polypropylene. These non-woven materials are extracted from disposed plastic bottles and converted to strong, lightweight, and non-toxic fabrics. 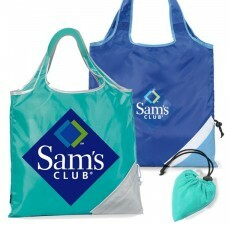 The eco-friendly fabrics woven at Custom Grocery Bags are soft, durable and completely recyclable. 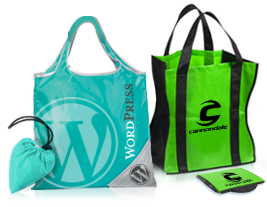 Thanks to our advanced machinery and flexible production process, you can have complete creative freedom over the design and look of your trade show bag. With an extensive range of available colors, you can choose to imprint company logos, slogans and graphics to tightly target your message at trade shows. With hundreds of bag styles to choose from, you can experiment with design options – and we provide free imprint samples so the look of your final production order will never come as a surprise. Our factories can produce bulk orders of 2,500 to 20,000 bags quickly and efficiently without compromising on quality – and we can handle larger orders too. We deliver large orders within 60 to 90 days, and can provide a quick turnaround time on stock products if you are in a rush – less than two weeks for in-stock products imprinted with your company logo and name! We focus our manufacturing process on reducing cost while maintaining or improving quality. 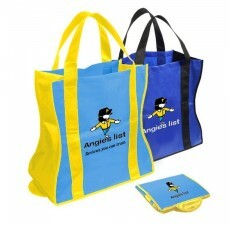 Our bags are designed in a streamlined and cost-effective manner, and all of our products are lightweight and durable. 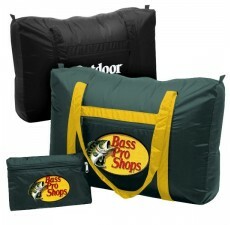 Not only do you get a great bag for your money, our low production weights mean that shipping costs are always reasonable. 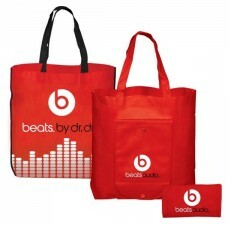 Don’t wait until the last minute to build your green image and attract customer attention at this year’s trade shows. 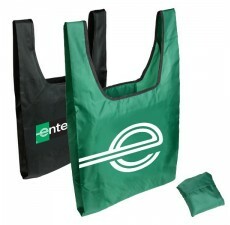 Contact Custom Grocery Bags for superior, stylish and eco-friendly folding bags today!